Well, I may have had a telling off for not posting this morning…I have a few choice words: sod off!!! With the weather as beautiful as it has been this weekend, there was no way I was going to miss out on it! Plus – listen up Apple – it’s nearly impossible to see an iPad screen, let alone type-up on it, when out in bright sunshine…just saying. So yes, the sun won over the blog! Can you blame me? Blagger is employed, I am self-employed. The one thing I hear, more than any other, is ‘you should pay more National Insurance, it’s a joke how little you have to pay’ and I agree with him, this is the first time I’m admitting it…I normally giggle and wear my best smug face. I know it looks like nonsense but here’s how it boils down…the only difference between our ‘Yes and No’s’ is the ‘Contribution-based Jobseekers Allowance’ (JSA). I know it says Yes for he and No for me in the ‘Additional State Pension’ line but, as Blagger was not born before 6th April 1951, he is not eligible for it and instead is under the ‘New State Pension’ scheme…which, as you can see, so am I…because I wasn’t born before 6th April 1953! So, everyone (born after the above mentioned dates), the only difference between Employed and Self Employed National Insurance is the fluffy cushion of JSA…as long as you satisfy the qualification rules to get it that is…is it worth the extra £97.15+ per week, for the lifetime of your working weeks? !…You decide. Personally, I’m of the mind that any work is work. I have been ‘unemployed’ and had to work from my bed for six months (after my spinal surgery), I arranged thousands of photos into albums for a very wealthy family in Swanmore. ‘Wife Swanmore’ would bring me the albums and the photos twice a week and I would plug away for 10-15 minutes at a time which earned me enough money to be able to get straight back up to full working capacity as soon as I was able to stand, walk and drive. There’s always someone who wants something done that they can’t be arsed to do themselves…for me JSA means Job Shirking Aristocrats, I love them! 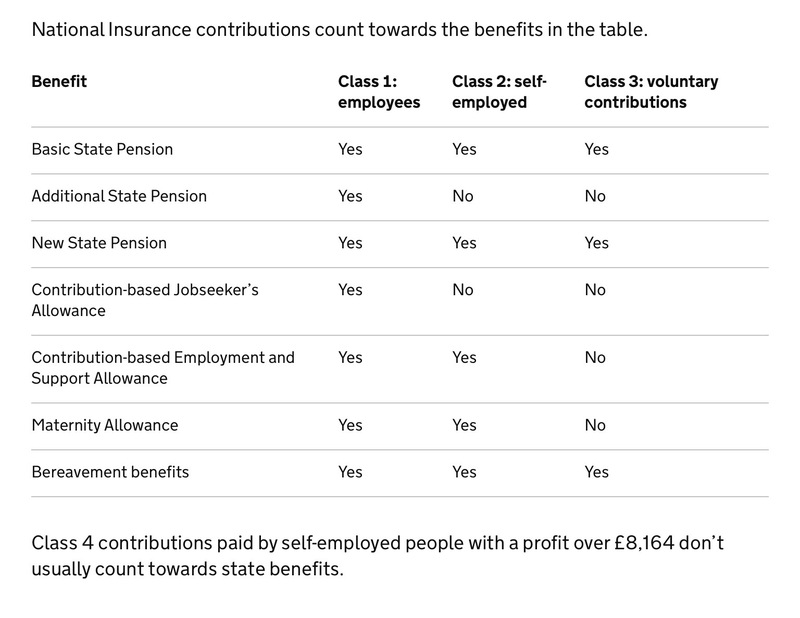 It does seem arbitrary that the self employed pay so much less in National Health Insurance than people who are not self employed given that both people have the exact same insurance coverage. His premium of £5200 annually for single coverage seems proper. I live outside Boston and Massachusetts has expensive health insurance as we have expensive doctors and hospitals. I pay $550 monthly or $6,600 annually or £5500 BUT while I have coverage for MD visits and Prescriptions with co-pays of $30 to $40 for most diagnostic tests I have a $2,000 deductible that I have to cover. There is no such thing as a free lunch.